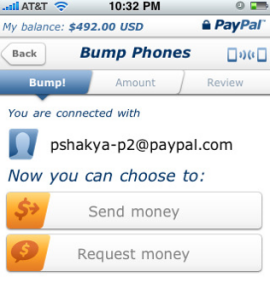 PayPal “Bump” Coming to Android! “Bumping” money transfers is a practical and convenient way to settle a bill, but right now the service is limited to iPhone users. For PayPal 2.0 to really become indispensable, users need to tap out transfers from any device. During our chat with PayPal at CTIA 2010 here in Las Vegas, we learned that updates to the Android and BlackBerry app are planned for the next two or three months. It might seem a little odd that this announcement brings so much joy into my life, but I’m an internet guy, and internet guys use PayPal for just about everything. Who’s with me? Android 2.1 Rollout "Taking Longer than Expected"